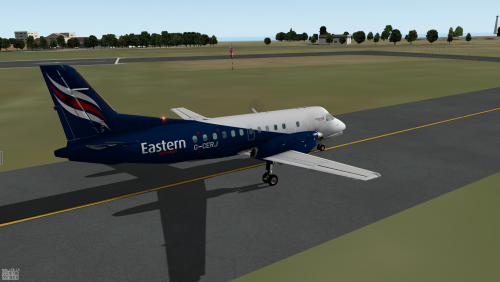 iGoConnect is an X-Plane plugin that connects X-Plane to iGoDispatch – an iPad application developed for LES Saab-340A, JRollon's CRJ-200, and IXEG's Boeing-733. The plugin performs the following functions: The plugin receives the following information from the iGoDispatch application: Centre of Gravity offset, payload weight, and fuel weight. After the data have been received, the plugin loads the plane by changing the relevant datarefs in X-Plane. 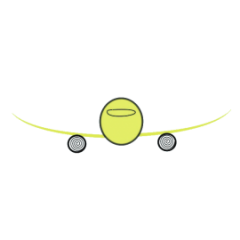 The plugin sends the following X-Plane datarefs (ACARS data) to iGoDispatch: plane’s position (latitude and longitude); heading (true and magnetic); weight; available fuel; current fuel flow; ground speed; and altitude. After the data have been received by iGoDispatch, the application performs other calculations, such as estimation of time and distance given the available fuel, %MAC, and the current CG offset. The plugin receives the current CG offset from the Application and dynamically adjusts it during the flight resulting in greater flight realism. The Plugin monitors flight performance based on approximately 20 parameters and determines possible pilot's errors during the flight. The Plugin also determines the passengers' satisfaction by monitoring the G-force and turbulence experienced during the flight. A performance report can then be sent to and displayed on the Application IMPORTANT! If you have problems connecting the iGoDispatch application to the computer with X-Plane running, it is most likely that your Firewall is blocking the TCP connection. You need to open the port to allow connection between your iPad and computer. For Windows: Go to Control Panel > Windows Firewall Click on "Advanced Settings" in the left-hand pane. Click on "Inbound Rules" and then "New rule". Select "Port", click next, select "TCP", and enter "7767" as the local port. Click next, and allow the connection. Click next again, and ensure that "Domain", "Private" and "Public" are all ticked. Name your firewall rule, e.g. "iGoConnect", and then save it. For Mac: Go to System Preferences, and choose the Security and Privacy Tab. Click on the Firewall Tab, and the Firewall options button. The page will show you the applications that are allowed access through your firewall Add new applications to the list by clicking on the plus icon. If you use third-party firewalls, they have their own procedures of adding Ports to TCP connections that may differ from those that I provide in my manual. You need to follow their specific instructions. For example, if you have McAfee in Windows, follow these steps: Open McAfee Total Protection; Open Web and Email Protection; Open Firewall; Open Ports and System Services; Click Add; System Service Name: iGoDispatch. Local TCP/IP Ports: 7767. Open ports to: All PCs. Forward port activity: checked. Click Save. The Manual is also available here: http://igoapp.ca/page_igoconnect/igoconnect_manual.html The plugin supports Windows, Mac (OS X versions 10.7 or later), and Linux.